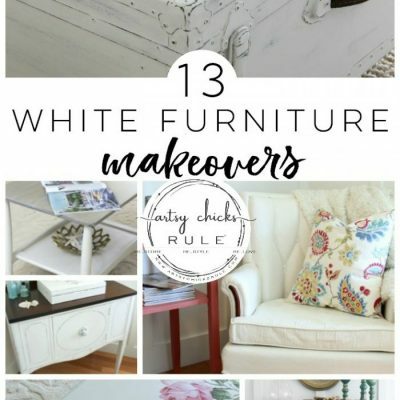 I’ve got a fun new post and project for y’all today (a makeover with Chalk Paint)….and so do 24 other bloggers! 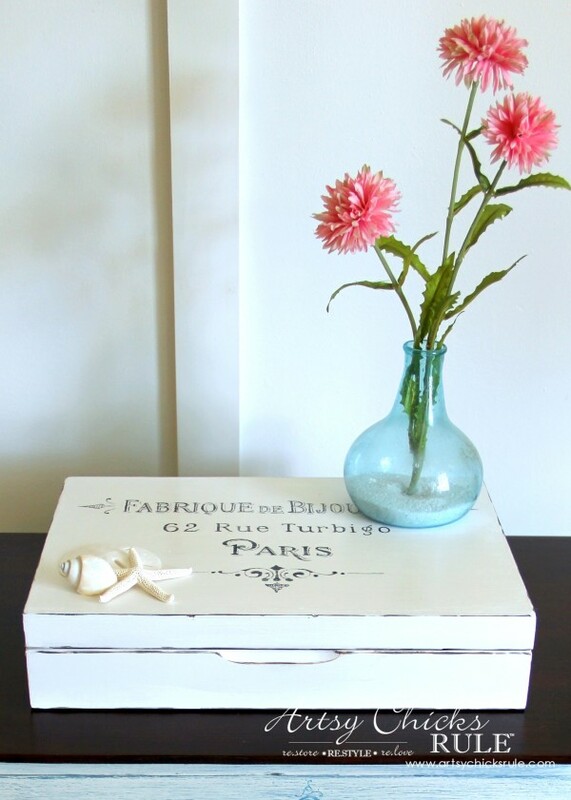 That sweet little French country, coastal looking box that you guys saw in yesterday’s post. 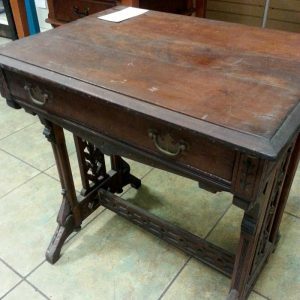 It was a thrifty find, from last year, and looked like this. I think I paid a couple dollars for it. 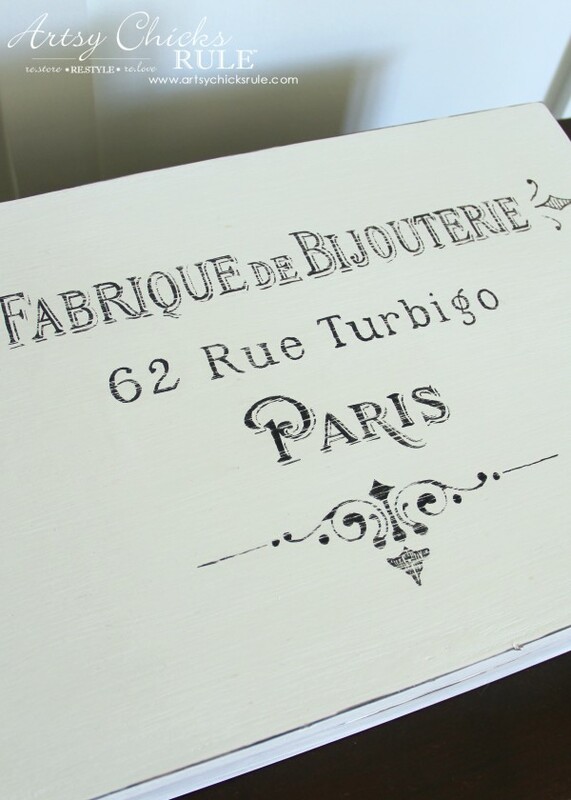 I loved that wood grain on top so decided to rub a bit of stain on it and painted the rest with Old White Chalk Paint. 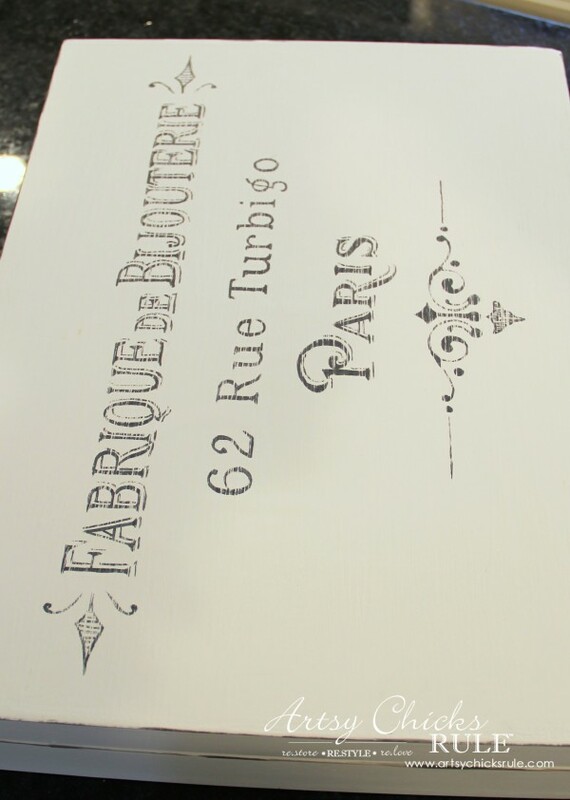 I added the words “Paris” to the top. BUT I never loved it…and that’s why you’ve never seen it here on the blog! So it got a makeover, times two. 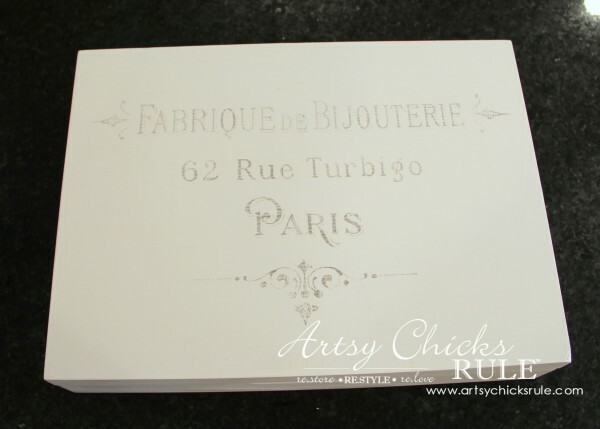 I painted over the whole thing with Pure White Chalk Paint…. 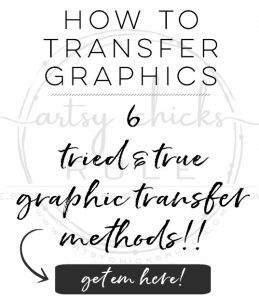 Then I found this graphic over at The Graphics Fairy. I printed it in reverse and transferred it to the top of the box. 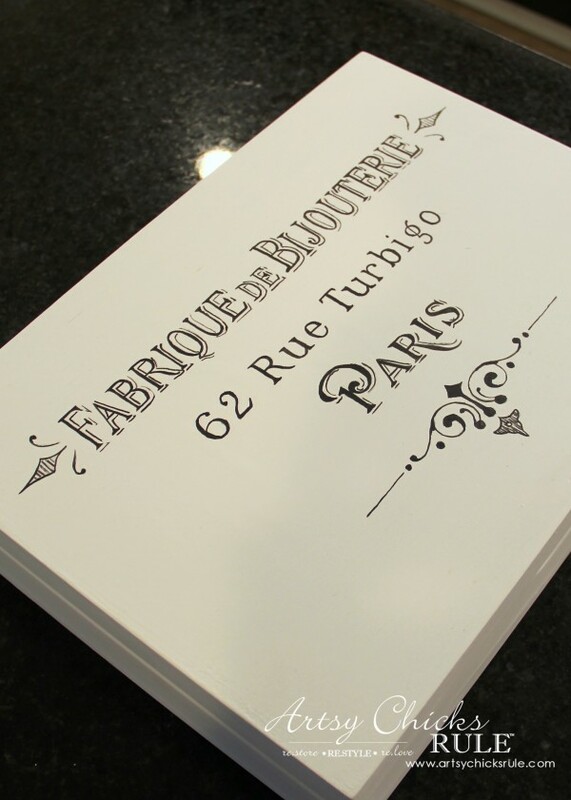 Then I hand painted it in using a thin script liner paint brush and black paint. I sorta love that part. I know it’s tedious but it’s relaxing. Once done (and dry!) 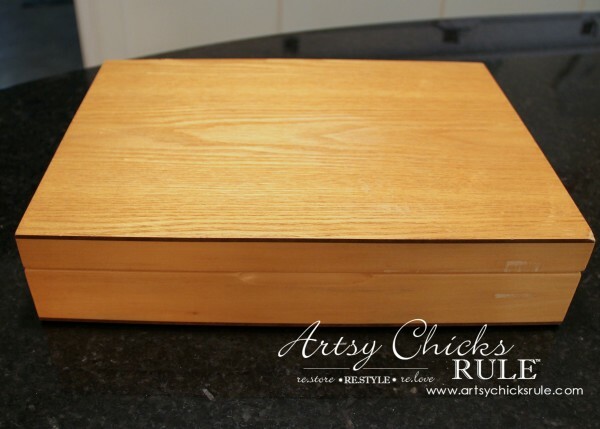 I lightly sanded over the whole thing to distress it a bit…..
Then sealed it with one coat of Annie Sloan Clear Wax. 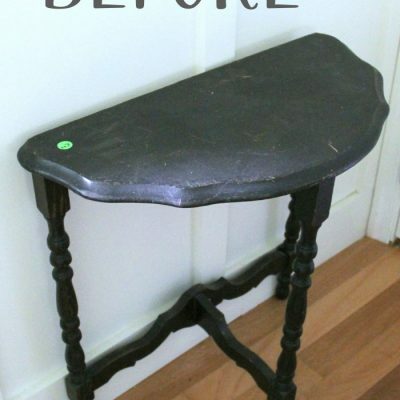 I LOVE this little makeover with Chalk Paint now! 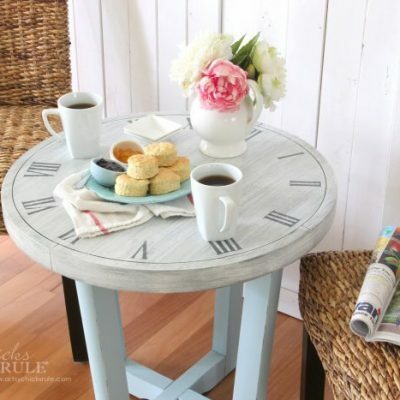 French Country Coastal Cottage-y…my favorite style. By the way, I picked up that pretty hand blown vase when we went to Asheville, NC this past summer. Isn’t it pretty? I just love it with my pink (fake) flowers. Yes, they are fake…but I just love them! It’s not really too unusual that I repainted this really…or didn’t see the “vision” the first go round. 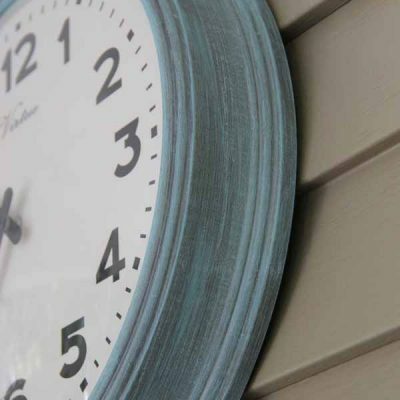 PIN this makeover with Chalk Paint for later! But I usually get it right in the end. Or right for me anyway. This one is right for me now. And not hidden away in my office any longer. It’s finally out for all to see. Now it’s my friends’ turn! So sweet Nancy. I need to do something like this for my desk. I’m not the best at hand painting letters though. I have used a fine sharpie before and then did a light sand. It turned out great and looked like I had painted it! What a lovely box. 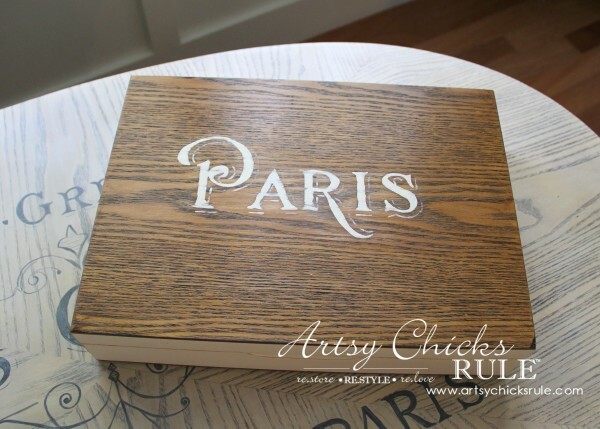 I liked it with the wood stain on the top and “Paris” on it, but I am on your side, your second re-do is just beautiful! Looks like a box that would have cost a lot of money! 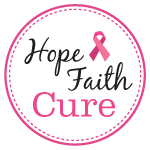 I will be pinning and sharing! 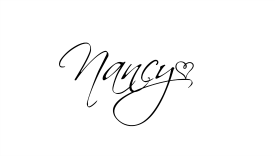 Nancy, that’s one of my favourite French graphics, so I knew I was going to love you project before I even saw it in its entirety. Great make-over and I’m so happy that you finally got it the way you like it. 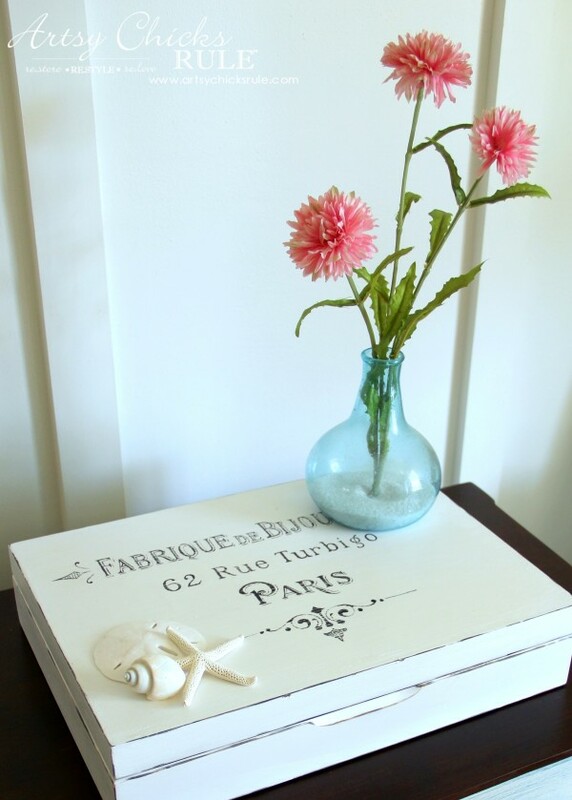 Another amazing #BestDIY project!! 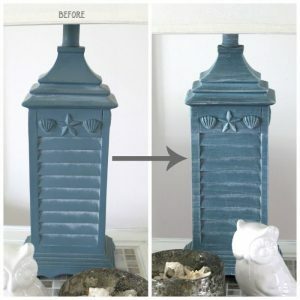 What a pretty transformation Nancy, and so easy to do too! 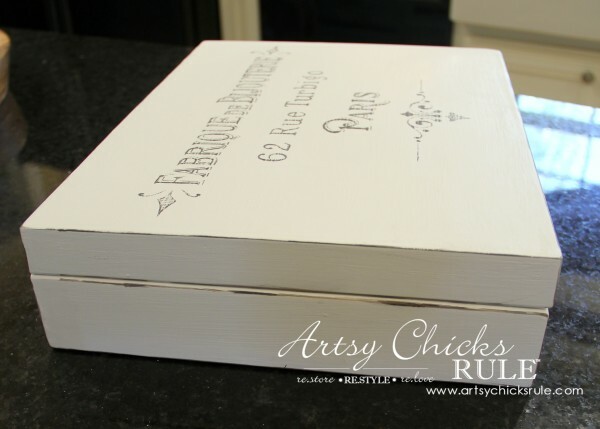 I am always finding these boxes while thrift shopping.These are great to use for organizing a desk and makes a great gift idea too! Thank you Karen! :) Aw …it is getting harder and harder! Especially with furniture. And haha…you and me both!! And…we are planning to downsize soon. Funny! I love the graphic that you chose for this box. 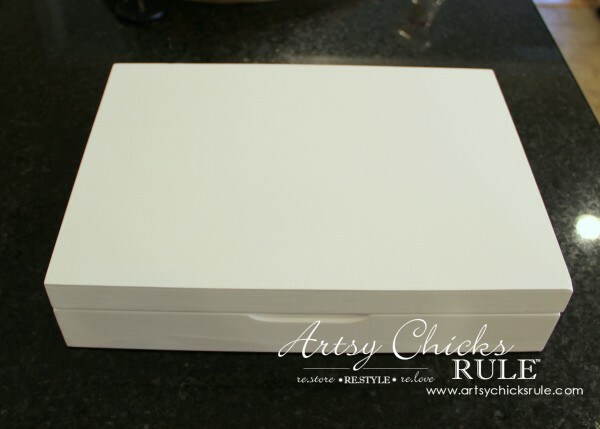 I can think of so many places that you can use this in your home and it is going to be great for storing small things. I love your transformation! Better late than never, right? Great job and great tutorial too. 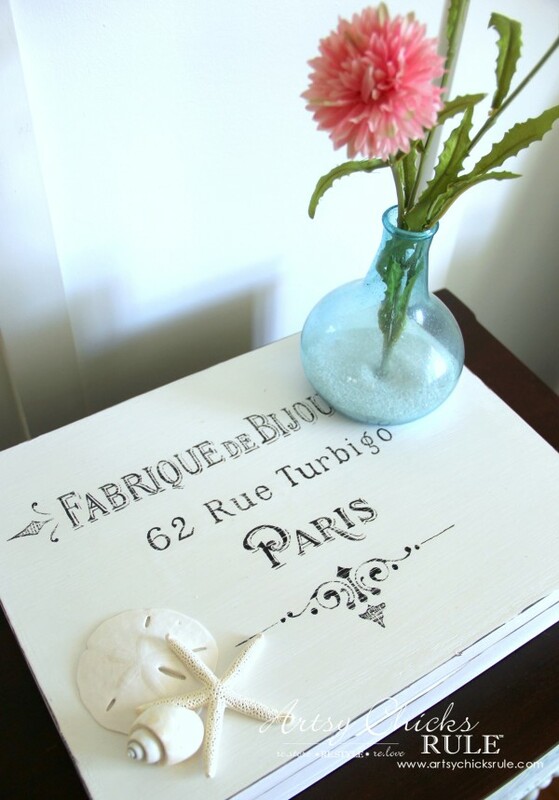 I love the stenciling but I’m not sure if I could do that. I bet it takes a steady hand. Love both the box and the honesty of the “let’s try plan B if you aren’t really feeling plan A”… it’s all part of the process, right? I do have a nagging detail, though. Paris is in the centre of France, and all of it’s famous resorts are on the mediteranean coastline miles to the south. If it were me, I would delete the Paris and add a name that would work better with your “by the sea” theme. Ha…I never even thought of that. What a great idea! 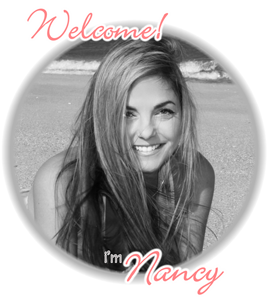 Hi Nancy, I just found your website today and am really impressed with all your projects. I have to ask, what is the reason you choose chalk paint, is there something I don’t know about this particular type of paint?? 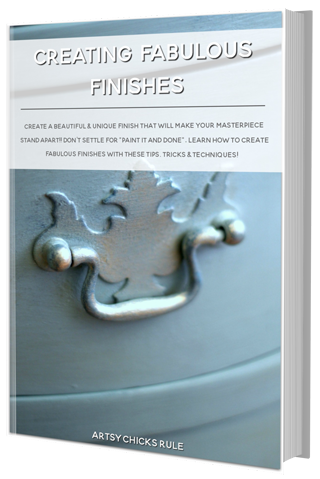 I’m getting ready to paint my kitchen cabinets and would love to know your secret! Thank you! 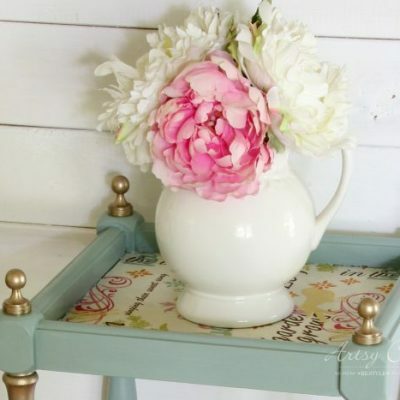 Well, I do love Chalk Paint and did use it quite a bit for several years (and still do on occasion) but I have been using another paint line I love too. 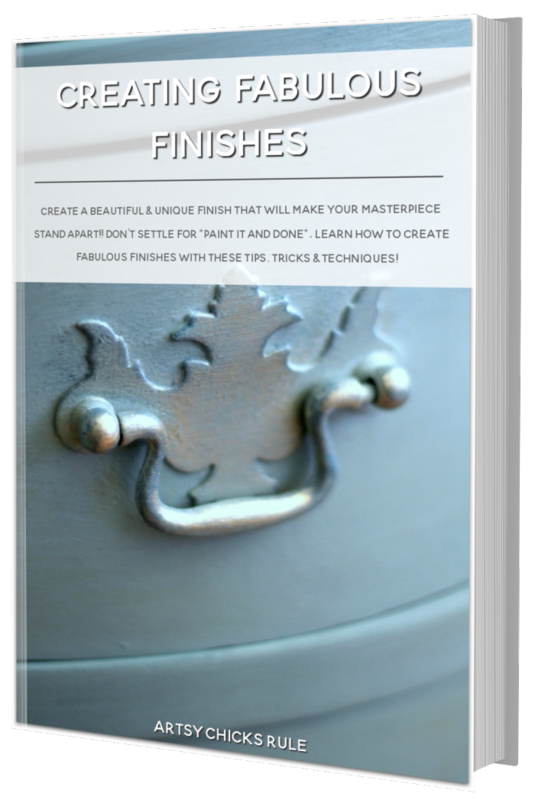 General Finishes Milk Paint (not the powdered version). And I am in the process of trying several other similar paints. One I actually tested out recently that I am loving. I do love many paints for different reasons. It all depends on what I’m painting. You can read about those on the blog here. Hope that helps! 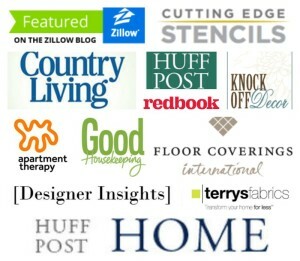 You can find my kitchen cabinet and island posts under “DIY Home” in the menu under “Project Gallery”.